Many people across California are just beginning to pick up the pieces of their lives after November’s outbreak of multiple devastating fires. If you’re looking for a way to help that combines supporting those who have been impacted with enjoying a special experience with your friends and neighbors here in L.A., these benefit concerts and events are one way to have a good time while supporting a good cause. 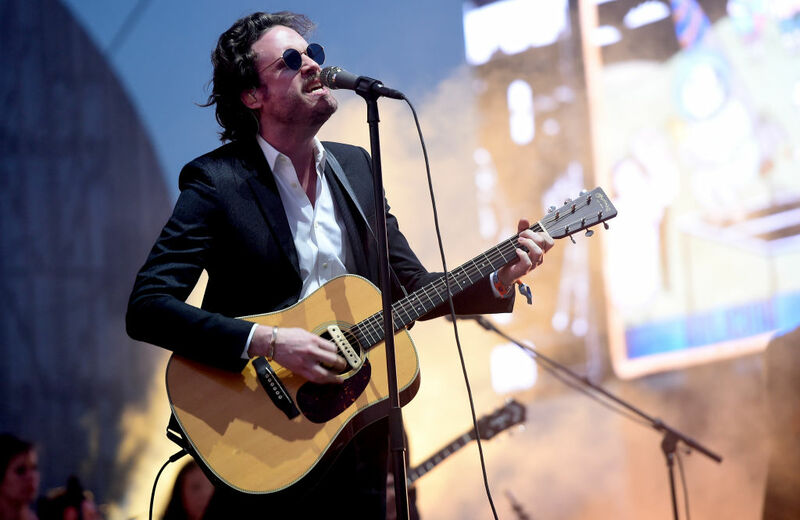 Goldenvoice presents this concert event, headlined by Father John Misty. Other performers include HAIM, Jeff Bhasker, Jonathan Wilson, Lucius, Mac DeMarco, Nate Ruess, Rivers Cuomo, Rostam, Tim Heidecker, Weyes Blood, and other special guests. Funds from ticket sales and a special charity auction for front-row seats will all be donated to the Southern California Disaster Relief Fund created by the United Way of Greater Los Angeles. December 18 at 8 p.m. Theater at the Ace Hotel, 929 S. Broadway, downtown; tickets $59.50-$199.50. Inglewood local Tiffany Gouché brings her soul and R&B sounds to this concert, alongside Asaishn and March McKinnis. Asaishn has long been a go-to songwriter and producer for the likes of Ludacris, Jennifer Lopez, Drake, Lil Wayne, and Pitbull, she had a mainstream break-out moment as a performer when Dr. Dre brought her on to guest on Compton‘s “Just Another Day.” December 12 at 8 p.m. The Echo, 1822 W. Sunset Blvd., Echo Park; tickets $15-$20. Organized by ALT 98.7 and Spaceland, this all-ages night will feature a number of local musicians including Nicholas Petricca of Walk the Moon, Keith William Jeffrey of Atlas Genius, Bad Suns, Grandson, the Griswolds, Morgxn, Your Smith, and others. Proceeds will be donated to the California Community Foundation Wildfire Relief Fund and the Animal Hope and Wellness Foundation. December 10 at 6:30 p.m. The Regent Theater, 448 S. Main St., downtown; tickets $25-$32.50. Head to the Hi Hat for a night of music from local bands Quote Unquote, Mooncult, Strange Parade, and more still to be announced. This event encourages attendees to donate at least $10; all money raised will be passed along to the Center for Disaster Philanthropy’s emergency fund for victims of fires across the state. December 11 at 8 p.m. Hi Hat 5043 York Blvd., Highland Park; $10 suggested donation. If you’re looking for laughs, a group of local comedians is staging a benefit variety show at the Pig n’ Whistle pub. Acts including Kym Kral, Madison Shepard, Haley Hepworth, and more will perform sketch, improv, and stand up comedy, with some live music mixed in, too. Proceeds from tickets will be donated, and the show will hold a drive for donations of food, household goods, and other items, to be delivered to the victims. December 12 at 9 p.m. Pig n’ Whistle, 6714 Hollywood Blvd., Hollywood. RELATED: How Does California Clean Up After a Disaster Like the Woolsey Fire?